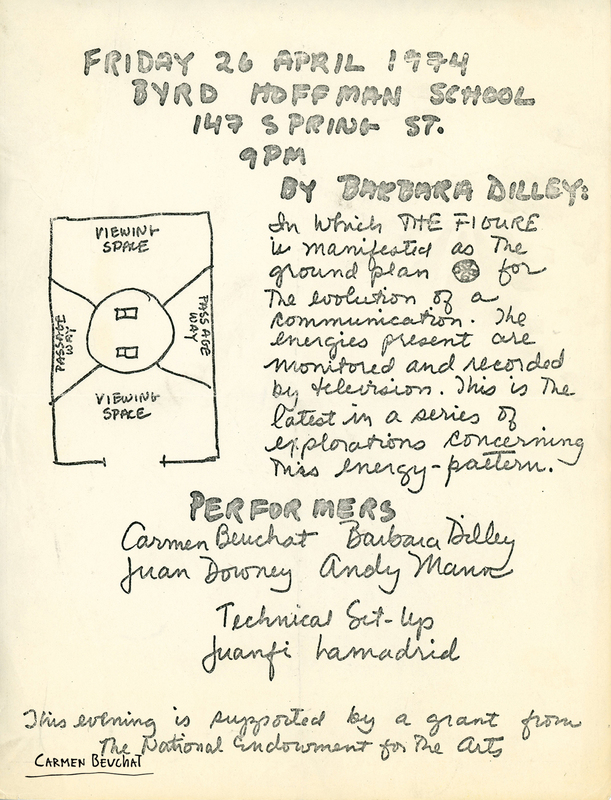 Poster of Barbara Dilley (Lloyd)’s performance, the latest in a series of performances that explore energy patterns. The energies present in the performance are monitored and recorded by television. Performers: Carmen Beuchat, Barbara Dilley (Lloyd), Juan Downey and Andy Mann. Technical Set-up: Juanfi Lamadrid. Performance presented at Byrd Hoffman School, 147 Spring Street, in 1974. This event was supported by a grant from The National Endowment for the Arts.